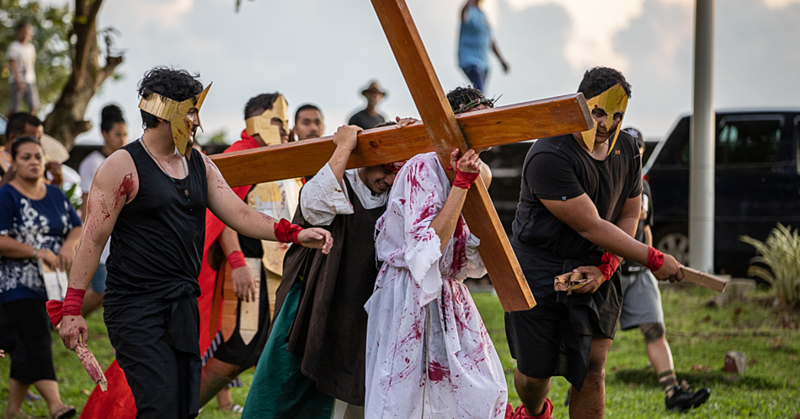 Yesterday was a day to remember for members of the Marist family not just in Samoa but all over the world. 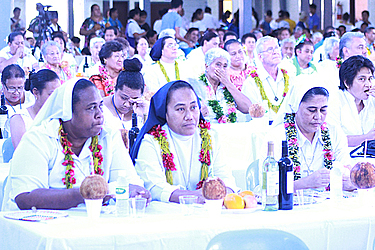 It was the 200th year of the Marist Family and members of the Catholic community in Samoa joined millions around the world to celebrate. The formalities started with a mass at the Immaculate Cathedral, Mulivai conducted by Archbishop Alapati Mataeliga. This was followed by a reception and the cutting of the cake at the Tuutuuileloloto Hall. The Head of State, His Highness Tui Atua Tupua Tamasese Efi, delivered the keynote address. “Today, let us reflect anew on the core meanings of ‘E oso a’e pea le la’. It can refer to a new day a new moment which signifies inter-connected existence. “But, it also denotes a specific day and season for making undertakings real and commitments firm. It will mean a new day for renewal and re-dedication of faithfulness to vows taken and visions re-imagines and re-kindled,” he said. “Today, we remember the taeao - the day at Fouvierre: The day in which several newly ordained young men came together to envision a new kind of Church: A Church that would be recognisable’ maternal’; a Church with a feminine face and of Marian quality. According to the history of the Marist Family, the “Society of Mary” came to birth on 23rd July 1816, at the sanctuary of Notre Dame de Fourvière (Our Lady of Fourvière in Lyon, France). The founders were a group of twelve seminarians, among them Jean-Claude Colin and Marcellin Champagnat and their vision was all embracing: this ‘Society of Mary’ to which they were committing themselves would gather together priests, brothers, sisters and a third order of lay men and women. It would be a “family” with four branches. They were bound together by their spiritual ideal to put themselves, like Mary, at the service of the Church through a work that was discreet and hidden, yet generous and dynamic. The foundation of a Society bearing the name of Mary “to respond to the great needs of the peoples” became a reality with Jean Claude Colin. In a dechristianised France, the Marist Fathers conducted missions in the countryside and set up schools. In 1836, at the request of the Pope, they agreed to go to Oceania. Father Favre, first successor of Father Colin, supported our Pioneers. Today, about 1,100 Marist priests are dispersed in all the continents.